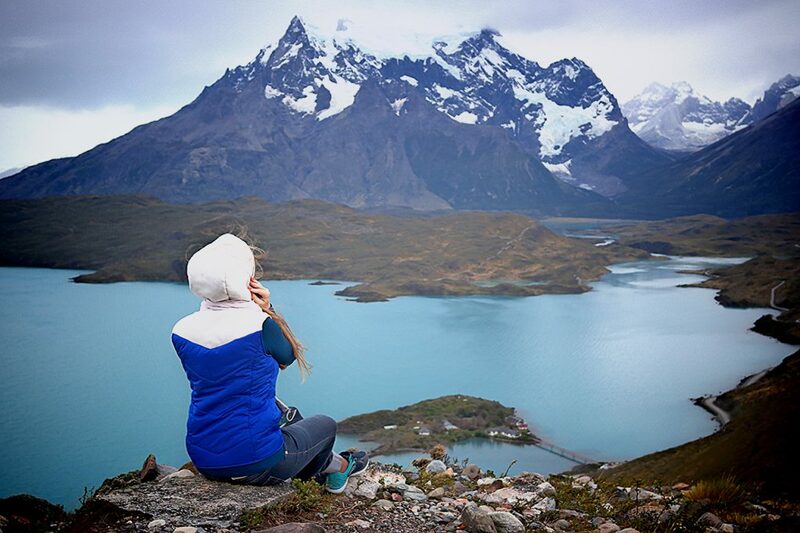 Have you ever stopped to think that you can reach the end of the world by visiting impressive glaciers, see penguins, guanacos up close or conquer the Torres del Paine National Park, chosen the 8th wonder of the world? 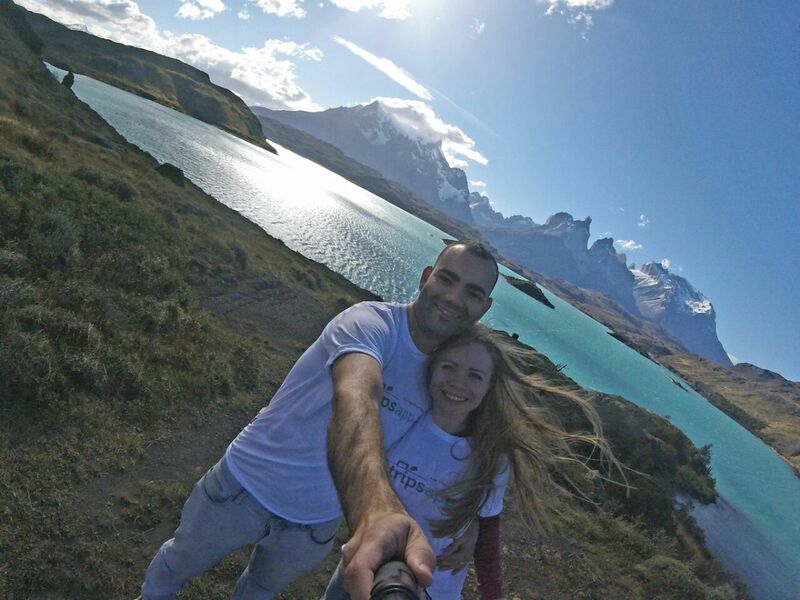 All this is possible to do in Patagonia, a region in southern South America, rich in natural resources of incomparable beauty. We visited this destination in March 2017 and prepared some important tips for everyone wishing to get to know the enchanting Patagonia. To reach the “end of the world”, you can choose to arrive in Chile or Argentina. To arrive in Chile, it is necessary to stop in Santiago to reach the final destination in the city of Punta Arenas. 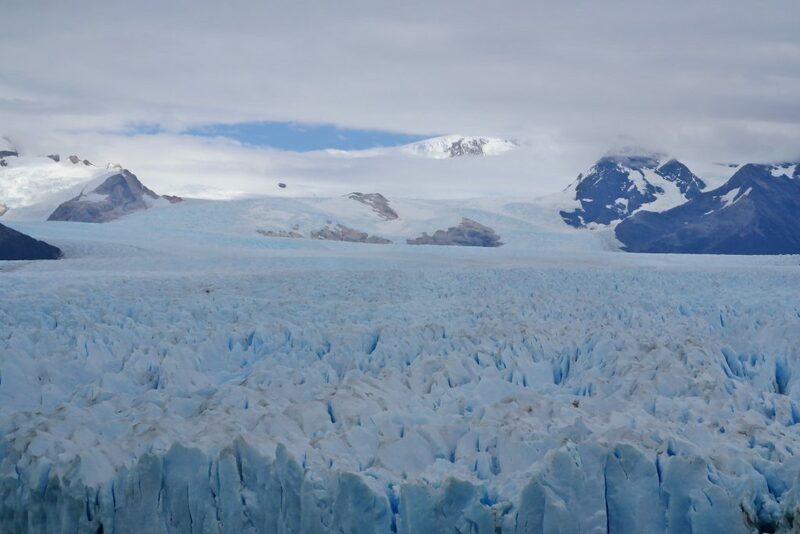 If you choose to arrive in Argentina, we recommend taking the flight to the city of El Calafate. 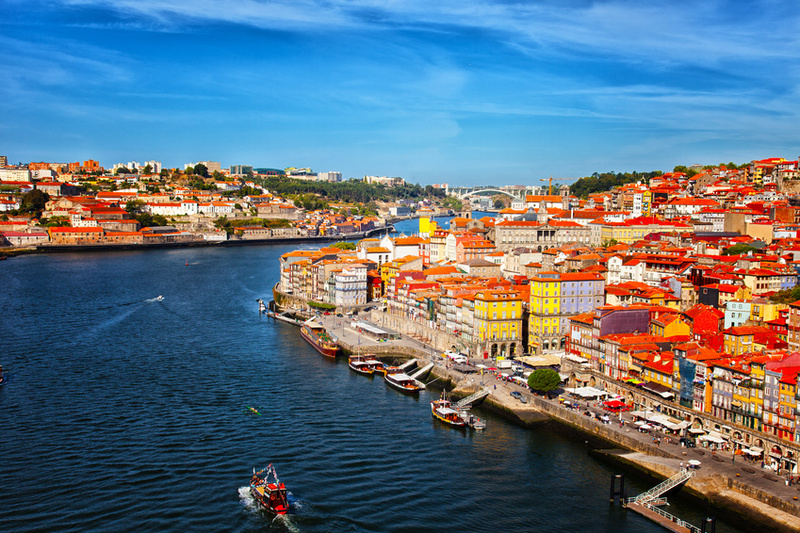 The best season to get to know the region is from September to April, because the weather is more friendly. We went in March, which is early autumn, and it was a really nice time. 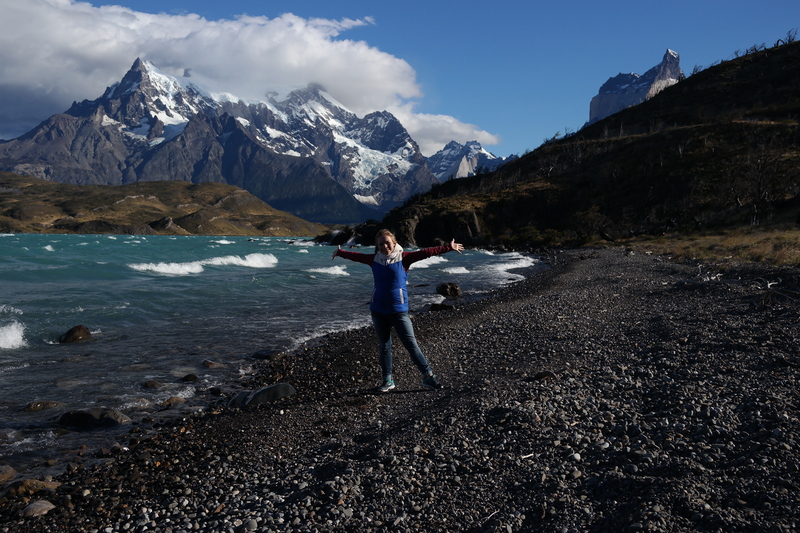 Even so, it is worth remembering that in Patagonia the climate changes every minute, with sun, rain, and much, much wind. Therefore, wear warm clothing, trekking shoes, hat, gloves; Also can not miss sunglasses, sunscreen and lipstick. 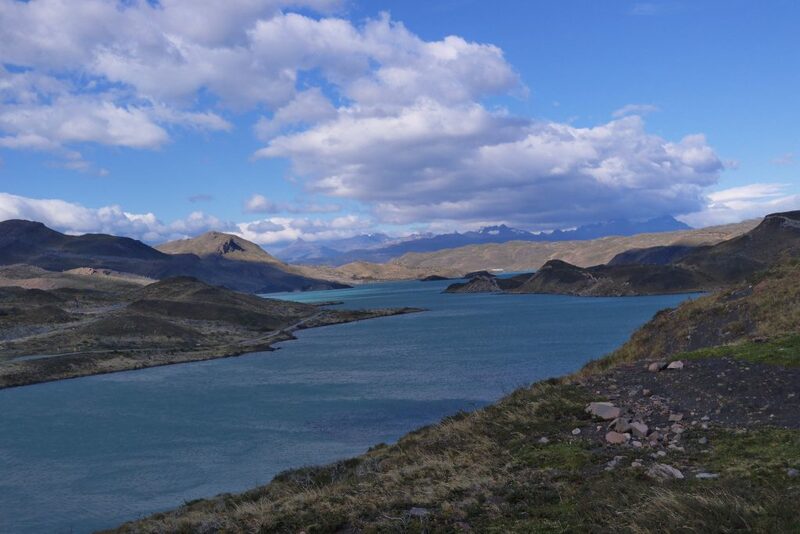 To enjoy the tours and delights that Patagonia has to offer, reserve 10 days to make the trip. 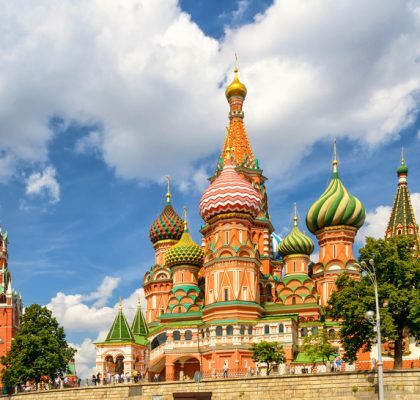 However, you can get to know the region in 7 days, but the itinerary can be a little busy. We recommend renting a car to have the ease and comfort of driving around the area attractions, but there is another interesting and reliable option, is to use the buses of Bus-Sur, Buses Fernandez or Zaahj companies. It is good to see on the companies’ websites the agenda and buy the tickets in advance. Besides to know the highlight of the Chilean Patagonia, which is the Torres del Paine National Park, do not forget to spend some time in Punta Arenas, a well organized and very interesting town, and also put in your agenda El Calafate, which is the gateway of the Los Glaciares National Park. 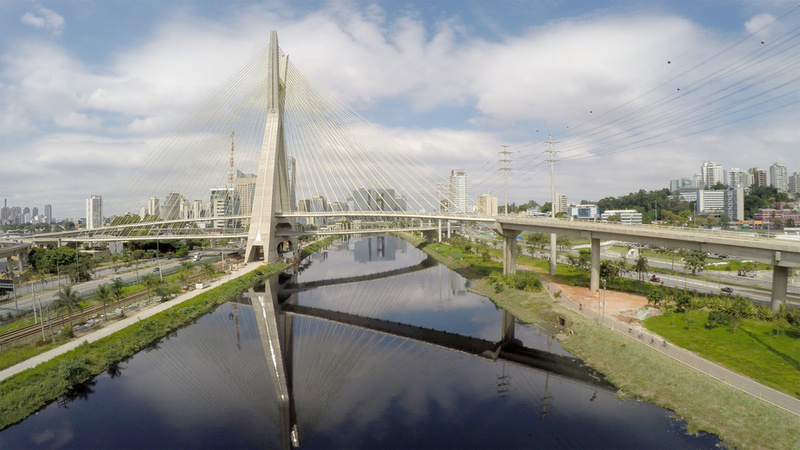 Our trip, starting from São Paulo, passed by Santiago, from there we took another flight to Punta Arenas. 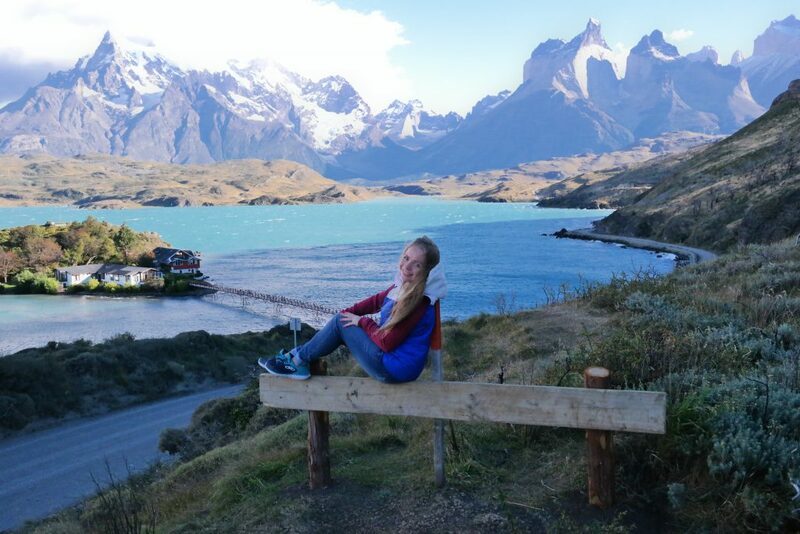 From Punta Arenas it was necessary to take a bus to Puerto Natales, a small Chilean town that serves as a base for those who will visit the Torres del Paine National Park. We booked a few hours to stroll along the Costanera and had lunch in a simple yet cozy restaurant called La Picada de Carlitos. If you’re there, try the lamb, the local dish which is a delight! In the afternoon we continued the trip from Puerto Natales towards the Torres del Paine National Park, the journey took about 2 hours. If you go by car, on the way you can visit the Cueva del Milodón, a Chilean Natural Monument where remains of the milodon were found, a prehistoric animal that inhabited this area a few millennia ago. Arriving at the Park, we have made a check-in at the hotel and took the opportunity to get to know the surroundings of this breathtaking place. We managed to climb the Condor viewpoint, we recommend climbing to the top. Up there the panoramic view of the Cuernos del Paine and Lake Pehoe is wonderful! As for the lodging, inside the Park there are several options to stay, from camping, hovels and luxurious hotels. We have chosen the Hosteria Pehoe, a hotel located on the island on Lake Pehoe with turquoise waters. This hotel provides a stunning view of the mountains and lake, just beautiful! An important tip for those who intend to stay in tents, there is provision of spaces to prepare food that you previously bought in the city Puerto Natales, because in the Park there are no restaurants or shops. The next day we dedicated entirely to explore the wonderful Park. 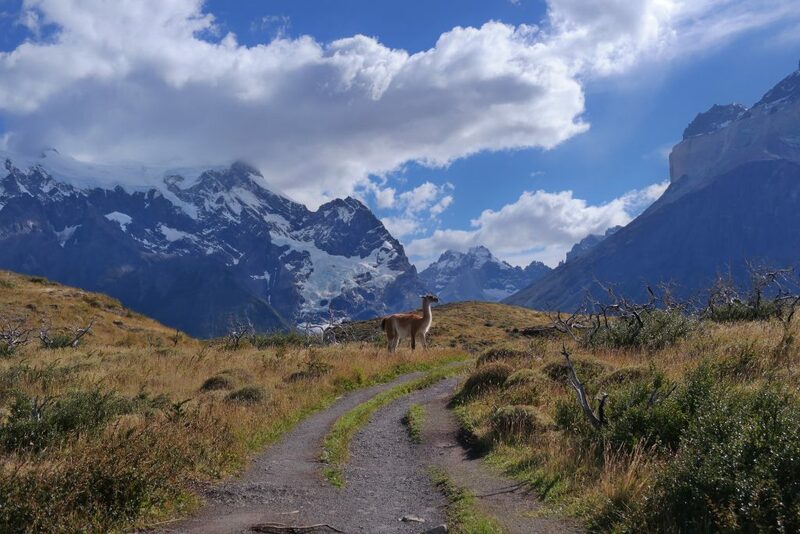 As it is huge, on the first day, the tip is to do a full day tour, so you can stay close to lakes, lagoons, glaciers, guanacos, ostriches, rivers and, of course, contemplate the massif from different angles. Fresh wind and a sense of freedom – is there something better? 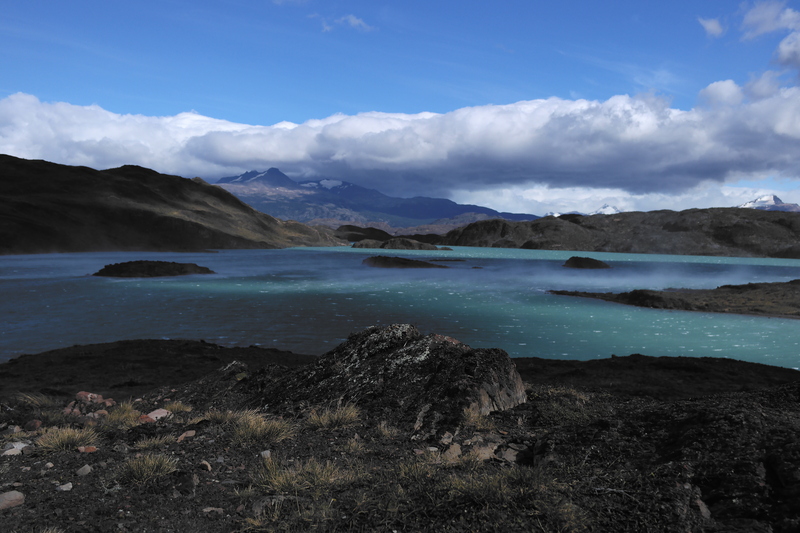 A recommended activity is to hike to the base of the Torres del Paine. Get ready for an eight-hour hike (4 hours to get to the base and 4 hours to get back). We did not manage to do it because of short time, but they say that every effort will be rewarded in the face of this spectacle of nature. 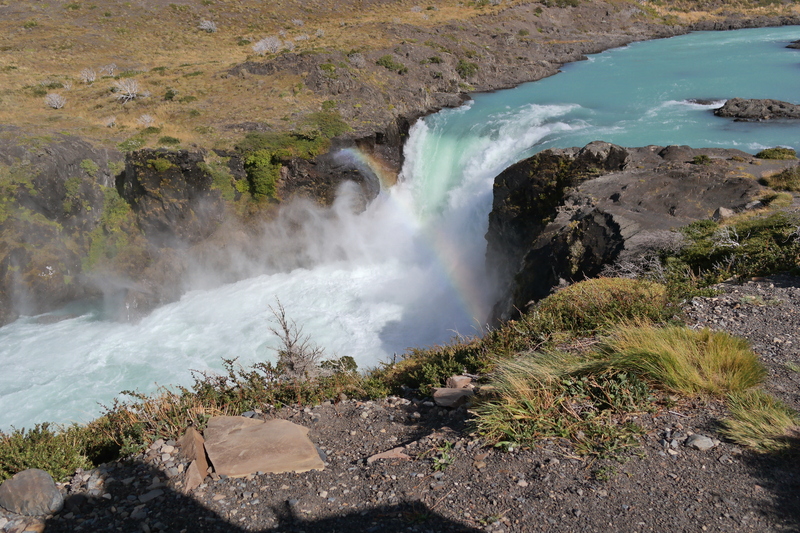 Other recommended places to visit in the Park are the Laguna Azul (there you can have a picnic on the margin), the waterfall Cascada Paine, or the Salto Chico of the Paine River. Finally, go to the Pudeto area, one of the most visited places in the Park, where you will see the Salto Grande waterfall and also one of the best views of the towers, in case you do not venture on the trails. The next day we continued the trip towards Patagonia Argentina, and the first stop was at the city called El Calafate, which is a very touristy and graceful city! Here we found shops and typical products, very cozy cafes and restaurants. Take the opportunity to rent a bike and head to Laguna Nimez, which is located in a nature reserve area and receives the illustrious visits of flamingos during the summer. 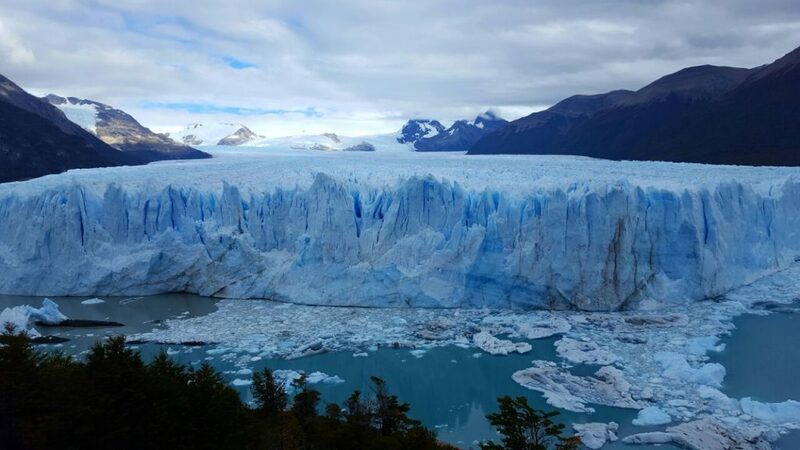 El Calafate is world famous for being the city that houses the gigantic Perito Moreno Glacier, the highlight of a trip to Patagonia Argentina. The Los Glaciares Park where the famous glacier is located is 1.5 hours from El Calafate, so the tip is to buy the bus ticket to the Park when you arrive at El Calafate bus station, there are 2 departure times – at the morning and at the afternoon. Arriving at the Park, we were already impressed by the grandeur and beauty of the glacier, which even surprises with countless shades of blue. As we got closer, we could hear the crashes coming from the ice drop when the parts of the glacier were melting. And of course, the endless view of the glacier that meets the snow of the mountains and goes beyond the horizon, is breathtaking! One of the most beautiful images we have ever seen! But the most amazing thing is knowing that you can walk on Perito Moreno! There are two routes, one of 2 hours and another of 7 hours of walking. 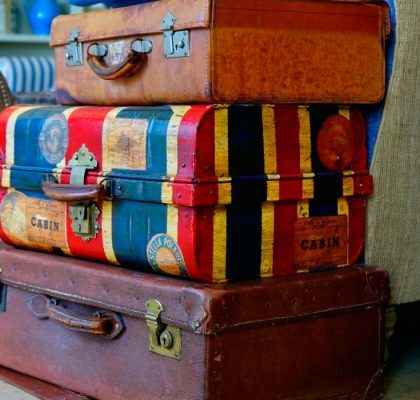 If you wish to do it, please contact a tourist agency in El Calafate and make a reservation in advance. 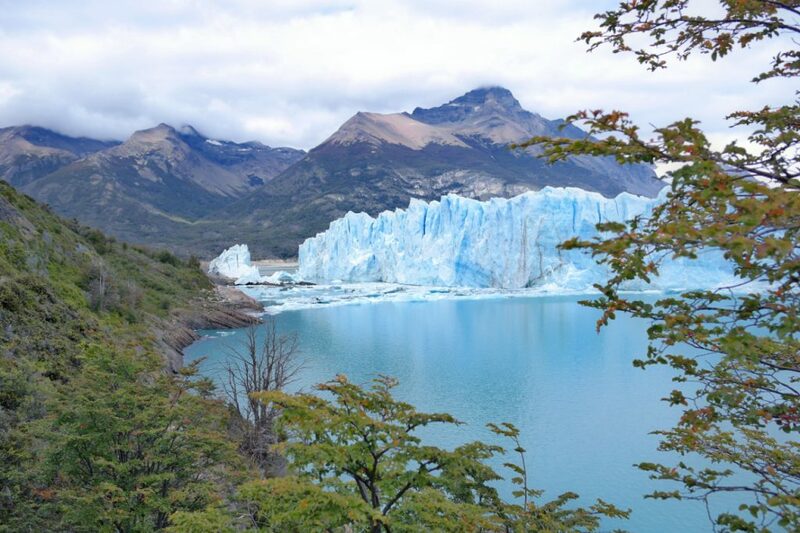 Another cool thing you can do in the Park is a boat trip on Argentino Lake made on a catamaran that sails for almost 7 hours and passes near the Spegazzini, Upsala and Perito Moreno glaciers. On the last day of the trip, we took the opportunity to visit another Chilean city, Punta Arenas, because our flight back was from that city. To stay in both Punta Arenas and Puerto Natales, we chose a mini-hotels, there are very welcoming and good value for money options. There we visited the Plaza de Armas, a beautiful square in the heart of the city; Next to it stands the Sara Braun Palace, a very interesting and well preserved architectural example of the city. 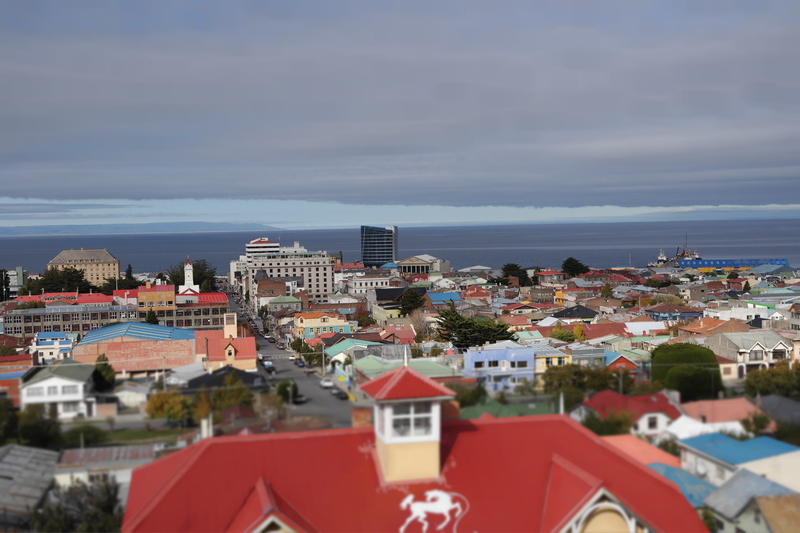 From there, we headed to Mirador Cerro De La Cruz, where we enjoyed the beauty of Punta Arenas with its colorful roofs and we could even see a part of Tierra del Fuego in the Strait of Magellan that connects the Atlantic and Pacific oceans. Later we also strolled along the Costanera de Punta Arenas, full of albatrosses, which can be mistaken for the penguins! Speaking of penguins, be sure to visit Magdalena Island, located near Punta Arenas, there you will be able to see the penguins closely. To get there, you just have to take a motor boat and cross the Strait of Magellan. Unfortunately, we missed this tour because we did not book it in advance so will we try to do it next time! 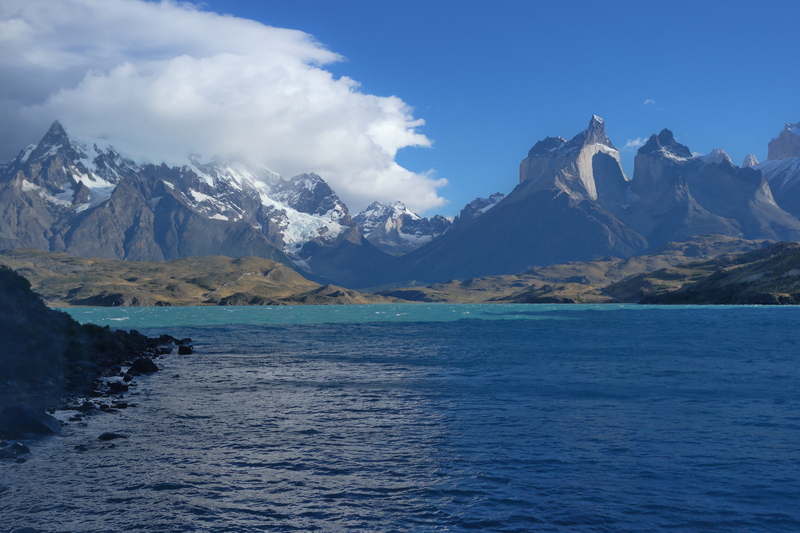 In short, Patagonia, both Chilean and Argentinean, guarantees an unforgettable experience for all who visit it. 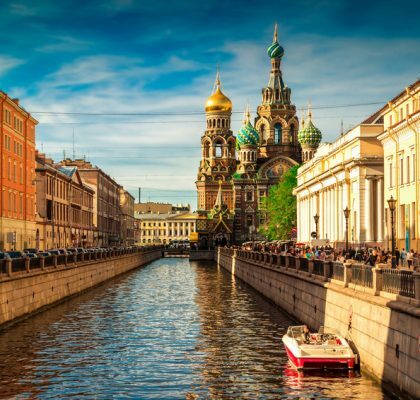 Be adventurous, enjoy this unique nature, and have a good vacation!